If you need a cabinet painting company, you are in the right place. Whether your cabinets have ever been painted or stained or not, we can paint them and make them look beautiful. If your cabinets have previously been painted or stained we can strip them down, sand them, and paint them to look exactly how you want. 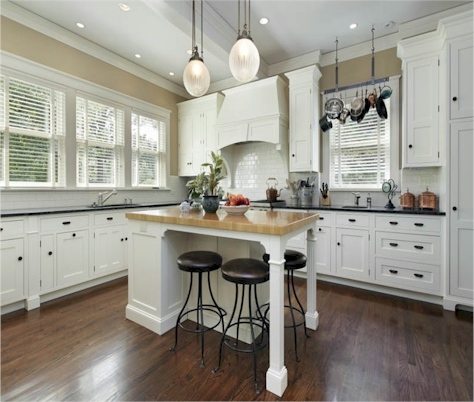 We can paint kitchen cabinets, bathroom cabinets, living room cabinets, home office cabinets, garage cabinets, and any other type of cabinetry you may have. Your cabinetry is a very important part of your home's appearance so you shouldn't trust just any random painter. Our professional painters have the knowledge and experience to do a high quality job every single time. Our reliable crew will show up on time, complete the cabinet painting project in a timely manner, completely clean up their mess, and charge a reasonable price you can afford. All you need to do is fill out our simple contact form, tell us a little bit about your cabinets and how you'd like them painted, and we will get back to you promptly with a free custom painting quote. Cabinet Painting - Select your State.